The Wisconsin Department of Agriculture, Trade, and Consumer Protection, Bureau of Weights & Measures wants to remind all Aboveground or Underground Tank Installers whose certifications expire on April 30, 2016 to renew their certification as soon as possible. Late renewals will not be accepted. If you do not apply by the deadline, you must apply for a new certification and meet all of the requirements for a new certification. If you currently have an AST or UST installer certification but do not intend to renew it, you should contact Alicia Clark, Compliance Officer in the Bureau of Weights & Measures at Alicia.clark@wisconsin.gov. The C onnecticut Department of Energy & Environmental Protection (DEEP) now requires all communication with the agency to be paperless. Through the ezFile system, DEEP can accept annual UST Notifications and can process annual Notification fees. You can read all about ezFile and how to use it on the DEEP’s website. Verifying operator training certificates from different states does not have to be a major challenge. Large companies should know that there is one national training solution that will help them keep track of training certificates across the country: PASS. PASS introduced our Training Certificate Verification tool in 2014. To use it, simply click on Resources at the top of our home page and select Certificate Verification or enter passtesting.com/verify in your browser. Enter the number you see in the bottom right corner and click Verify. You will see the certificate ID number followed by the student’s name, the course taken, the status (Completed, Expired, or Retired), and the start, completion, and expiration dates. This is helpful not only for company administrators but for state inspectors wanting to check and validate operator training certificates. It’s one more way PASS has been helping customers keep their training on track. PASS had another incredible show with more booth visitation than ever!  PASS Tools along with PASS UST Operator Training and MyTankInfo is the complete compliance package and companies are really jumping on board with how easy UST/AST compliance can be. We want to take time to thank all our existing customers who dropped by for their loyalty, and invite all our new customers to see why PASS will work for you. Mark your calendars… July 1, 2016 is the deadline for UST Operator Training. Beginning July 1, 2016, the Missouri Department of Natural Resources (DNR) will check compliance for UST sites that are not insured by the Missouri PST Insurance Fund or PSTIF. The DNR will also also begin checking for designated and trained UST Class A, B, and C operators. PASS offers Missouri Department of Natural Resources acceptable training via reciprocity from Illinois. Visit passtesting.com/missouri for more information. Missouri’s DNR will implement a portion of the new rules by July 1, 2017. This portion requires new UST systems to be double-walled and have containment sumps with interstitial monitoring. In addition, if over 50% of any piping is replaced, it must be replaces with double-walled piping with containment sumps and interstitial monitoring. 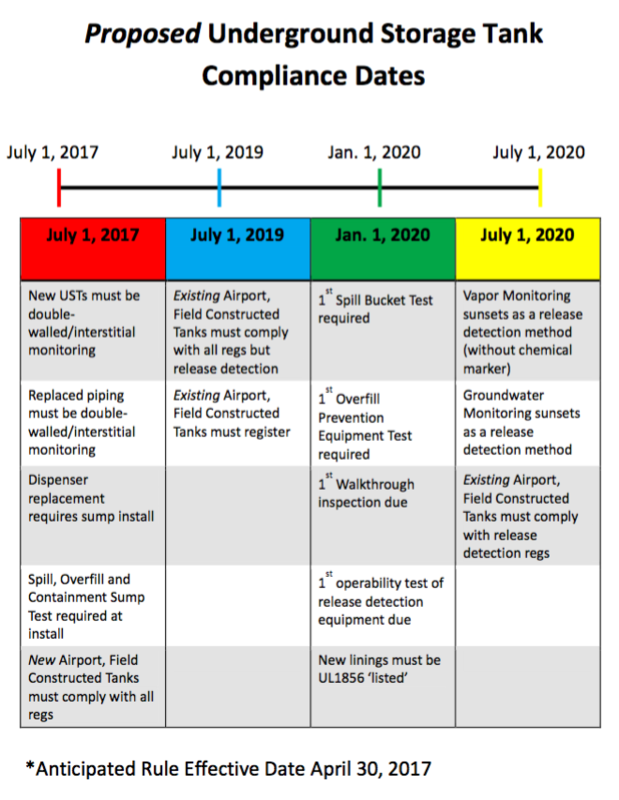 Here is a list of Proposed Underground Storage Tank Compliance Dates and a link to the redline changes to the rules. The Steel Tank Institute (STI) is in the process of updating several of its publications and seeks feedback on the following: SP001 Standard for the Inspection of Aboveground Storage Tanks and SP031 Standard for Repair of Shop-Fabricated Aboveground Tanks for Storage of Flammable and Combustible Liquids. The deadline for submitting comments is April 20, 2016 and must be done using STI’s online form. You can also find out more information about STI’s work in their latest Tank Talk newsletter. Also of interest in this issue of Tank Talk is a report on a recent study of aging USTs by the Association of State and Territorial Solid Waste Management Officials (ASTSWMO) Tanks Subcommittee. The committee conducted in-depth studies of aging USTs in Arizona, Colorado, Georgia, Minnesota, Missouri, Utah, Vermont, and Washington. In addition to the age of the UST, the committee investigated state regulations regarding aging tanks and financial assistance available for leaking UST clean-up. March 24 is the last day for M-PACT 2016. Stop by to see us and our exhibit partner MyTankInfo at Booth #523 between 11:00 am and 3:00 pm today. As we get ready for M-PACT 2016, we want to take a look at what’s going on in the states participating in this annual tradeshow. Let’s look at what’s new in Illinois. Stations without a designated and trained A/B operator, meaning monthly recordkeeping, required quarterly inspections, and annual maintenance are being neglected. In response, OSFM inspectors will begin issuing Operator Certification Notices of Violation (NOVs) for operator certification violations starting April 1, 2016. In addition to the Operator Certification NOV, the inspector will immediately red tag the station’s tanks and will not remove the red tags until A, B, and/or C operators have been trained and certified as required by law. This will cost station owners time and money as a red-tagged facility may not receive fuel deliveries or dispense fuel to customers. In effect, a red-tagged facility will be closed until operator training requirements have been met. PASS is approved to offer Class A/B and Class C operator training in Illinois and getting started is as easy as clicking here. Don’t forget that all UST operators in Illinois are required to be retrained every two years. When you train with PASS, you will get timely reminders before your certification expires so you will always be in compliance. As we get ready for M-PACT 2016, we want to take a look at what’s going on in the states participating in this annual tradeshow. Let’s look at what’s new in Ohio. Ohio is in the process of revising the state Fire Code for 2017. As UST operator training and certification is overseen by the Bureau of Underground Storage Tank Regulations (BUSTR), a division of the State Fire Marshal’s office, the revised Code will certainly be of interest to UST operators in Ohio. To read more about the Code revision process, click here. M-PACT 2016 will be held March 22-24 at the Indiana Convention Center in Indianapolis, Indiana. PASS will be in booth #523 next to our exhibiting partner, MyTankInfo. We hope to see you there! The tradeshow exhibit hall is open March 23 1:00 pm-5:30 pm and March 24 11:00 am-3:00 pm. We always look forward to this show, and not just because it’s in our home state. The Indiana Convention Center is an excellent facility and M-PACT organizes a top-notch tradeshow. But M-PACT is more than a tradeshow. You can attend informational/educational sessions held during the show. You can find exhibitors by searching the online exhibitor map or list. And football fans won’t want to miss Wednesday’s Industry Luncheon Keynote Address given by NFL official (and practicing trial attorney) Ed Hochuli. Before you hit the tradeshow floor, find out what’s new in the states participating in M-PACT 2016.